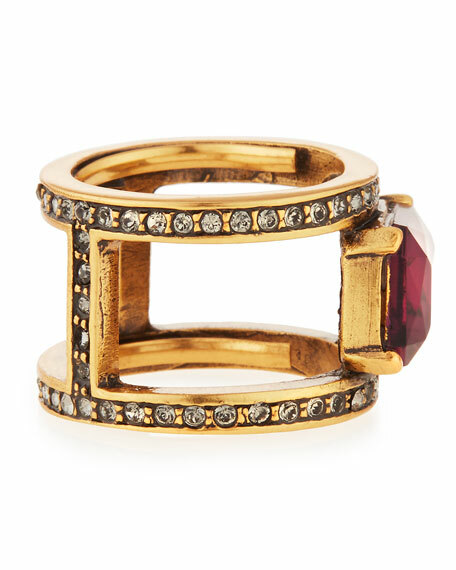 Oscar de la Renta open band ring. After apprenticing at Balenciaga in Spain and at Lanvin in Paris, Dominican designer Oscar de la Renta launched his own eponymous line in 1965. His refined, ladylike looks garnered many awards, including one in 1990 for Lifetime Achievement. In 1998, he launched a successful line of lingerie; the house now includes collections of eyewear, fragrance, home decor, handbags, and shoes. In October of 2014, Peter Copping was appointed Creative Director of Oscar de la Renta. 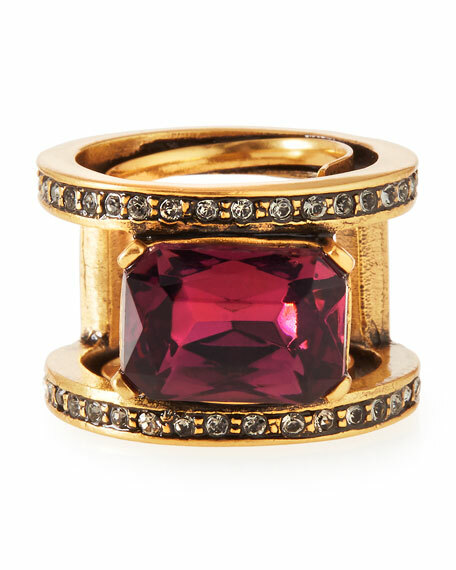 Hand picked by Mr. de la Renta before his passing, Peter is responsible for setting the design direction across all product categories in the New York based company. For in-store inquiries, use sku #1593077.